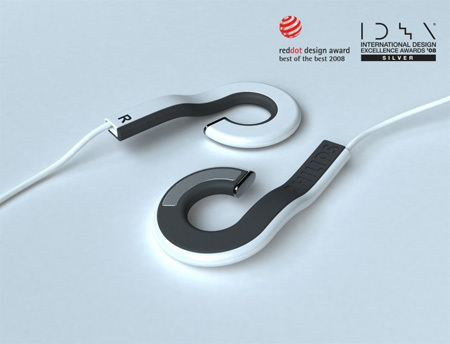 Holeder Earphone concept, designed by Yoonsang Kim from South Korea, solves the problem of tangled wires by allowing you to interlock earphones behind your neck when they are not in use. fashion design, but headset outside,vulnerable to external noise. can be made to the headset accessories! Very Cool, but where can I find them on sale? Donald, they are not for sale, it is just a concept. Very tidy design. Wonder if he has solutions for DJs like me, too? We got cables all over the events like black spaghetti! I’m not a big fan of these or zipper ones for that matter. 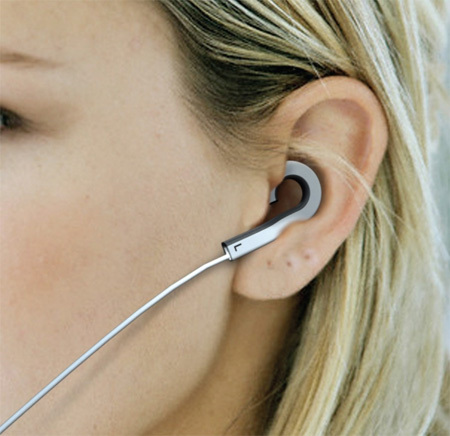 The zipper headphones look a little flashy and… I guess I just don’t like the look, and these ones look nice, but they would be very susceptible to outside noise. awesome! If they proved to be as comfortable as they are cool, I’d buy them. So… where should speakers go??? 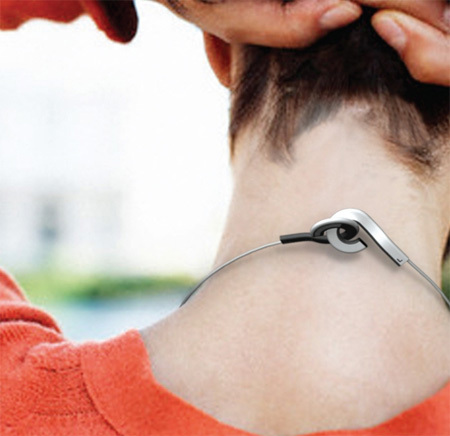 The coolest products always seem to come from solving a problem creatively! its a interesting concept. But its obvious the designer has no idea about how sound or acoustics work. Besides letting in external sound, a headphone with out a resonance chamber would produce no bass what-so-ever. Traditional earbuds create the chamber inside your ear canal, while traditional over the head make the chamber within the cup. These simply have no chamber, and thus could not produce bass. Its a good start, but far from something that would even work. this headphone is really good. i am the person who studying in the design college, nashik. and i select this headphone for study. 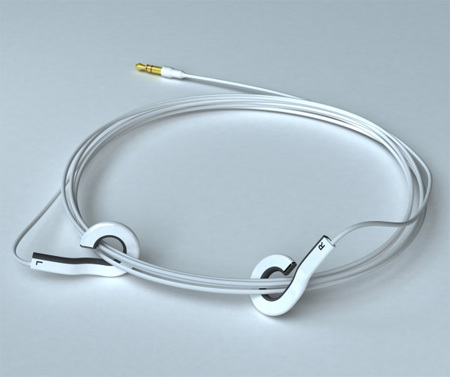 Hey, Is there any possible way I can contact the creator of these earphones? I think it’s a very good design and has potential. Please someone let me know thanks :)!